Many guests who come to the Orlando area want to visit both Universal Orlando and Walt Disney World in the same visit, especially the Harry Potter fans. Guests want to be able to see Hogwarts, Diagon Alley and Mickey Mouse all within the same trip! However, guests are not aware of the most economical ways to visit both resorts. Stay onsite at Walt Disney World and purchase a Park-to-Park ticket with shuttle transfer included. Both 1 and 2 day tickets are available and these tickets are only available through a Universal Orlando Authorized Travel Professional. The shuttle will pick you up at a pre-arranged time right in front of your Walt Disney World hotel and then when you’re ready to leave the theme parks, they will pick you up in the taxi/shuttle area adjacent to CityWalk. This avoids the need to rent a car and pay for parking at Universal Orlando. It’s also a great way to nap on the ride back to the hotel. Book a split stay at Walt Disney World and Universal Orlando. This comes with a Take 2 Transfer that provides one way airport/Universal Orlando hotel transportation as well as one way transfers between your Walt Disney World and Universal Orlando hotels. This transfer can be set up with either Universal Orlando first or second on your trip. The benefit of doing a split stay is that you can take full advantage of the onsite benefits at both Universal Orlando and Walt Disney World. And again, it eliminates the need for a costly rental car. 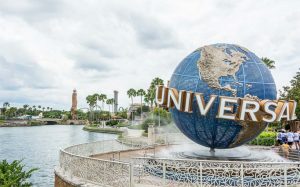 And if you book Loews Royal Pacific Resort, Loews Portofino Bay Hotel or the Hard Rock Hotel as your Universal Orlando hotel, you’ll get free Universal Express Pass benefits too. We recommend at least 2 nights at Universal Orlando for this portion of your trip. Both of these options are great, affordable ways to visit both Universal Orlando and Walt Disney World during the same trip.